I hereby promulgate the Animal Protection Act, adopted by the Croatian Parliament at its session on 4 October 2017. This Act lays down the responsibility and obligations of natural and legal persons for the protection of animals during use, including the protection of life, health and welfare, manner of handling animals, animal protection requirements to be complied with during their handling, breeding, performing procedures on animals, at time of killing, transport, use of animals for scientific purposes, keeping animals in zoos, circuses and other performances, during the sale of pet animals and the handling of abandoned and lost animals, inspection supervision and misdemeanour provisions. 9. Directive 2010/63/EU of the European Parliament and of the Council of 22 September 2010 on the protection of animals used for scientific purposes (SL L 276, 20.10.2010). (1) This Act applies to all vertebrate animals. (2) By way of derogation of Article 1 of this Article, this Act shall also apply to cephalopods from the order Cephalopoda used for scientific purposes. (3) This Act does not apply to the management of hunting grounds and game animals. (4) This Act does not apply to fisheries. 40. a zoo is the space and housing facilities in which legal or natural persons perform the activity of presenting and protecting animals and their habitats, and which permanent exhibition is established for the purpose of promoting the protection of animals and nature through education, research and recreation, and is open to the public for a minimum of seven days per year. (2) The definitions used in this Act that have a gender basis shall apply equally to both the male and female gender. (1) It is prohibited to kill animals, subject them to pain, suffering and injury, and intentionally expose them to fear or disease, contrary to the provisions of this Act. 38. keeping bears (all Ursidae) in captivity, with the exception of zoos and shelters. 8. for the marking or killing of animals for the purpose of environmental protection or conserving the natural balance. (4) More detailed rules concerning the prohibition of imports of skins and skin products of pups of specific seal species for commercial purposes from paragraph 2, item 22 of this Act shall be defined by the minister in an order. 3. inflict pain, suffering or injury upon animals during their training. (2) The owner must request veterinary assistance in a timely manner and ensure the care of sick or injured animals, veterinary assistance during birthing if required, and ensure the appropriate care for sick, injured or exhausted animals. (1) Any person who injures an animal must render the necessary assistance to the animal, and if they are unable to assist, must arrange for assistance to be provided. (2) If it is not possible to determine who injured the animals, the provision of the necessary assistance to animals must be organised and financed by the local self-government unit in whose territory the animal was injured. (3) If the owner of the injured animal is ascertained, the costs from paragraph 2 of this Article shall be borne by the owner. All surgical or zootechnical procedures on animals, with the exception of those referred to in Article 9, paragraph 4 of this Act, must be carried out using anaesthesia or analgesia, in compliance with the special regulations of the veterinary legislation and the rules of the profession. 2. ear cropping and tail docking in dogs, declawing of cats, devocalisation and other interventions that affect the integrity of the body of the animal. - for the purpose of taking animal tissue samples for analysis. 2. the partial or total amputation or removal of sensitive parts of the body of an animal shall be permitted if undertaken for zootechnical purposes including permanent sterilisation, if such intervention prevents pain, suffering and self-injury or injury to other animals, or for safety reasons, and in hunting dogs in compliance with specified cynology standards, with the use of analgesia. (3) Interventions likely to cause suffering or severe pain to an animal may only be performed after analgesia or anaesthesia and if post-operative care is provided. 6. when it is counter-indicated to the results hoped to be achieved by the experiment. (1) It is prohibited to kill animals contrary to the provisions of this Act. (2) It is prohibited to kill dogs and cats for the production of food and other products. (3) Special-purpose means and prescribed methods shall be used in the killing of animals in accordance with special regulations from the field of veterinary medicine and procedures in line with the rules of the profession. 17. if the animal is a danger to the environment. – from paragraph 1, item 14 of this Article, the decision is made by the veterinarian or veterinary inspector. (3) If the owner of the animal cannot be ascertained or is not available, the decision on the killing of the animal in the case from paragraph 2, subparagraphs 1 and 3 of this Article shall be made by the veterinarian. 7. when the killing is necessary for the safety and protection of humans or animals, and for the protection of property or the environment. (5) The animal owner must, without delay, ensure the killing of an animal suffering severe and incurable pain. (1) It is prohibited to transport animals in a way that causes them pain, suffering, injury or death that may be avoided. 8. females in the final quarter of pregnancy and females in the first week following delivery are not considered suitable for transport, unless they require veterinary assistance. (1) Breeders, suppliers and users must ensure appropriate housing of experimental animals and their care, marking and identification of experimental animals, keeping records and reporting to the competent authority on the breeding, acquisition and use of experimental animals. (2) Prior to commencing the activities of breeding, acquisition and use of experimental animals, breeders, suppliers and users must file an application for the issuance of the decision on authorisation for breeders, suppliers or users. (3) The fulfilment of the requirements from paragraph 1 of this Article, upon filing the application from paragraph 2 of this Article, is determined by an expert committee that provides expert assistance in the making of the decision on the authorisation from paragraph 2 of this Article. (4) The competent authority decides on the application from paragraph 2 of this Article in a decision, authorising the breeder, supplier or user, if the breeder, supplier or user fulfils the conditions from paragraph 1 of this Article, and in terms of the premises and structures in which animals are housed, and the equipment, devices, training and qualifications of personnel, and if the veterinary and health protection and care for animals has been ensured, removal of by-products, and having a professional person responsible for the welfare of experimental animals. (5) The application form from paragraph 2 of this Article, the manner of breeding, procurement and use of experimental animals in accordance with paragraph 4 of this Article is prescribed by the minister in an ordinance. (1) Following the issuance of the decision from Article 13, paragraph 4 of this Act, for each important change in the structure or function of the facility in which the experimental animals are housed which could negatively impact animal welfare, the breeder, supplier or user must file an application with the competent authority for approval of such changes. (2) The competent authority issues a decision on the application from paragraph 1 of this Article. (3) The form of the application from paragraph 1 of this Article is prescribed by the minister in an ordinance. (1) If during an inspection supervision it is established that a breeder, supplier or user no longer fulfils the requirements from Article 13, paragraph 4 of this Act, the veterinary inspector shall determine the measures and the time period for the removal of irregularities in accordance with Article 79 of this Act. (2) If the established irregularities from paragraph 1 of this Article threaten animal welfare, the veterinary inspector shall prohibit the breeder, supplier or user from further work until the irregularities can be removed. (3) If the breeder, supplier or user does not remove the determined irregularities from paragraphs 1 and 2 of this Article within the set time period, the competent authority shall terminate the decision from Article 13, paragraph 4 of this Act, and delete the breeder, supplier or user from the register kept by the competent authority in accordance with Article 29 of this Act. (4) For the duration of the prohibition of work from paragraph 2 of this Article, and upon the termination of the decision from paragraph 3 of this Article, the breeder, supplier or user must secure the welfare of animals at their own expense. (5) The frequency of inspection supervisions from this Article shall be laid down by the minister in an ordinance. (1) Breeders, suppliers and users must establish an animal welfare committee, mandated to advise persons on issues concerning the welfare of animals, care, procurement and use of animals, and implementation of the 3R principles. (2) Advice, opinions and decisions of the animal welfare committee from paragraph 1 of this Article must be issued in writing, and kept for a minimum of three years. (3) Breeders, suppliers and users must appoint a doctor of veterinary medicine and a person responsible for animal welfare to the animal welfare committee from paragraph 1 of this Article, and in addition to a veterinarian and person responsible for animal welfare, users must appoint a scientific member. (1) An experiment may be conducted only by a user holding a decision on authorisation from Article 13, paragraph 4 of this Act, and whose project was approved by the competent authority. (2) Prior to the execution of the experiment, the user must submit an application for approval of the project to the competent authority. (3) With the application from paragraph 2 of this Article, the user shall submit the opinion of the animal welfare committee from Article 16, paragraph 2 of this Act, and the opinion of the person responsible for animal welfare from Article 16, paragraph 3 of this Act. (4) Immediately upon receipt of the submission, the competent authority confirms the receipt of the application from paragraph 2 of this Article to the user electronically to the e-mail address listed on the application form, stating the deadline from Article 18, paragraph 2 of this Act, in which the decision on the authorisation of the project must be made. (5) In the case of submission of an incomprehensible, incomplete or unorderly application from paragraph 2 of this Article, the competent authority shall send a conclusion to the user electronically within seven days of receipt of the application, informing the user of such shortcomings, and give a 30-day period in which to remove such shortcomings, with warning of the legal consequences if this is not completed in the given time period, and the time period from Article 18, paragraph 2 of this Article shall begin to run as of the time of submission of the orderly application to the competent authority. (6) The application form from paragraph 2 of this Article and the content of the opinion from paragraph 3 of this Article are prescribed by the minister in an ordinance. (1) The decision on authorisation of the project is issued by the competent authority in line with the submitted application from Article 17, paragraph 2 of this Act, and pursuant to the previous assessment of the project as to the justification and scope of the proposed project conducted by the Ethics Committee for the protection of animals used for scientific purposes (hereinafter: Ethics Committee), and the opinion of the Ethics Committee from Article 36 of this Act. (2) The competent authority issues the decision on the authorisation of the project within 40 working days from the date of receipt of the orderly application, and where so justified due to the complexity and multidisciplinary nature of the project, this deadline may be extended by an additional 15 days, and the competent authority will inform the applicant thereof. – duration of the project. (4) The decision on authorisation of the project is issued for a limited time period with regard to the purpose of the project, for a maximum of five years. (5) Exceptionally, the competent authority may decide to extend the time period from paragraph 4 of this Article by a maximum of five years, upon such application submitted by the user. (6) The detailed rules of the prior project assessment from paragraph 1 of this Article, and the conditions for the extension of the duration of the project from paragraph 5 of this Article, are prescribed by the minister in an ordinance. (1) For multiple generic projects conducted by the same user, and which are conducted to meet the requirements of certain special regulations in production, marketing and maintaining a product/compound on the market, including assessments of safety and risk for food and feed, the production of biological preparations, or production for diagnostic purposes based on defined methods, a single decision on authorisation of the project is issued. (2) The retroactive project assessment is conducted by the competent authority on the basis of the user documentation and the opinion of the Ethics Committee from Article 36 of this Act. (3) The retroactive project assessment and content of the documentation from paragraph 2 of this Article are prescribed by the minister in an ordinance. 6. keep records on experiments for a minimum of five years. (2) In accordance with Article 17 of this Act, the user submits to the competent authority an application for the authorisation of every change to the project that is not compliant with the decision on project authorisation from Article 18 of this Act, and which may negatively impact animal welfare, and the competent authority issues a decision thereto. (3) The conditions for amendments to the project from paragraph 2 of this Article are prescribed by the minister in an ordinance. (1) The competent authority issues a decision to terminate the decision on project authorisation from Article 18, paragraph 1 of this Act, if the user conducts the experiment contrary to the project authorisation, thereby threatening animal welfare, or if the experiment is not conducted in accordance with Article 24 of this Act. (2) If the established irregularities do not threaten animal welfare, the veterinary inspector will determine measures for the user, and the deadline for their removal, in accordance with Article 79 of this Act. (3) If the user does not remove the identified irregularities within the specified timeline from paragraph 2 of this Article, the competent authority will terminate the decision on project authorisation. (4) The user from paragraph 1 of this Article may re-submit the application for project authorisation only after three months from the final date of validity of the decision on the termination of the decision of project authorisation. (1) The project leader is responsible for execution of the project in accordance with the project authorisation. (2) The experiment leader is responsible for the execution of the experiment in accordance with the provisions of this Act. (2) The competent authority encourages the development of alternative approaches for the purpose of obtaining data through methods that do not include the use of animals in experiments, or which use a smaller number of animals, or which include less painful procedures. (3) In planning projects, the user must take into consideration the data of the European Union Member States collected in experiments conducted in accordance with the regulations of the European Union, and exceptionally, the competent authority may authorise the doubling of experiments only for the purpose of protection of public health, safety or the environment. (4) The following are not considered experiments: non-experimental agricultural practices, non-experimental clinical veterinary practices, veterinary clinical testing necessary for issuing marketing authorisations for veterinary or medical products, practices implemented for the purpose of recognised breeding of animals, and practices which are performed above all for the purpose of identification of animals. (5) The criteria for the classification of experiments are prescribed by the minister in an ordinance. 7. for effective and unhindered performance of the experiment, the appropriate device and equipment must be ensured. 7. without anaesthesia if using substances for the paralysis of muscles. (3) It is prohibited to conduct experiments on threatened animal species, on non-human primates, on animals taken from the wild and on abandoned animals, unless the competent authority exceptionally permits the performance of experiments pursuant to scientific evidence and findings, in accordance with the conditions prescribed in this Act. (1) Users may not use, for scientific or educational purposes, isolated organs, tissues and carcases of laboratory animals killed for that purpose without the decision of the competent authority authorising the scientific or educational work on isolated organs, tissues and carcasses of laboratory animals killed for that purpose. (2) The users from paragraph 1 of this Article must ensure appropriate housing and care of laboratory animals, marking and identification of laboratory animals, and keeping the prescribed records. (3) The competent authority issues the decision from paragraph 1 of this Article if the users from paragraph 1 of this Article meet all requirements pertaining to space, equipment, technical auxiliary means, educated and trained staff, removal of by-products and meeting the requirements from paragraph 2 of this Article. (4) The user from Article 13, paragraph 4 of this Act is authorised for work on isolated organs, tissues and carcasses of animals killed for that purpose, for scientific or educational purposes. (5) The manner of breeding, acquiring, use and handling of laboratory animals from paragraph 1 of this Article, and the conditions from paragraph 3 of this Article, are prescribed by the minister in an ordinance. (1) Only laboratory animals may be used for scientific and educational purposes from Article 25 of this Act.<>(2) By way of derogation from paragraph 1 of this Article, at the request of the user from Article 25, paragraph 1 of this Act, and pursuant to the scientific justification and opinion of the Ethics Committee from Article 36 of this Act, the competent authority may issue authorisation for the use of other animal species. (3) Strictly protected animal species and endangered species taken from nature may not be used for work on isolated tissues, organs and carcasses of animals killed for that purpose, unless where it is not possible to use animals bred for that purpose. (1) If during an inspection it is determined that the user from Article 25, paragraph 1 of this Act no longer meets the requirements from Article 25, paragraph 3 of this Act, or if the animals are not killed in the prescribed manner, the veterinary inspector shall determine measures and a deadline for the remedy of irregularities in accordance with Article 79 of this Act. (2) If the established irregularities from paragraph 1 of this Article jeopardise the wellbeing of the animal, the veterinary inspector shall issue the user from paragraph 1 of this Article a decision prohibiting the work on isolated organs, tissues and carcasses of animals, until the determined irregularities can be remedied. (3) If the user from paragraph 1 of this Article fails to remedy the established irregularities from paragraphs 1 and 2 of this Article within the stipulated deadline, or acts contrary to the provisions of Article 26 of this Act, the competent authority shall issue a decision terminating the authorisation from Article 25, paragraph 1 of this Act. (1) The provisions of Articles 13 to 24 of this Act shall apply accordingly to breeders, suppliers and users that breed, acquire or use animals for the production of biological preparations. (2) Prior to the start of use of animals for the production of biological preparations, the breeder, supplier and user from paragraph 1 of this Article must file an application with the competent authority for the issuance of a decision on the authorisation of the use of animals for the production of biological preparations. (3) The competent authority issues the decision on the authorisation of the use of animals for the production of biological preparations pursuant to the prior opinion of the project and the opinion of the Ethics Committee from Article 36 of this Act. (4) The competent authority may terminate the decision from paragraph 3 of this Article under the conditions stipulated under Article 27 of this Act. (1) The competent authority keeps the register of authorised breeders, suppliers and users, users authorised to work on isolated organs, tissues and carcasses of animals killed for that purpose, breeders, suppliers and users authorised for the use of animals for the production of biological preparations, and legal or natural persons who conduct training of persons in accordance with Article 34, paragraph 2 of this Act. 4. termination of the decision on the authorisation of the use of animals for the production of biological preparations in accordance with Article 28, paragraph 4 of this Act. (3) The content, form and manner of keeping the register from paragraph 1 of this Article is prescribed by the minister in an ordinance. (1) Experiments on animals that cause pain, suffering, injury or death of the animal may not be performed for educational purposes. (2) The competent authority may issue a decision authorising the project for education purposes if performed at university or scientific research institutions, and if necessary for the education of persons in undergraduate or graduate university study programmes, or integrated undergraduate and graduate university study programmes, and the project may be carried out by doctors of veterinary medicine, medical doctors, doctors of dental medicine, masters of pharmacy, masters of medical biochemistry, masters of biology, biotechnologists, sanitary engineers and those with a degree in agriculture in the field of zoo-techniques, with regard to the area in the framework of the project which require the appropriate knowledge for work with animals, and if satisfactory results cannot be achieved with other teaching aids (computer simulations, films, images, models, preparations, etc. ), under the condition that for each group only one animal may be used, and that the project is led by a person trained in accordance with Article 34 of this Act. (1) The competent authority keeps statistical records on the basis of received applications for authorisation of projects and annual reports of users. (2) The collective statistical data on the number and species of animals used and the types of experiments are public, and published on the website of the competent authority. (3) The competent authority publishes non-technical summaries of performed experiments on its website, taking into account the protection of intellectual property and confidentiality of data. (4) The manner of reporting by the competent authority from paragraph 1 of this Article is prescribed by the minister in an ordinance. (1) The course of an experiment on animals and the procedures used in the production of biological preparations must be recorded in logbooks. (2) The logbooks referred to in paragraph 1 of this Article must be signed by the project leader, and the persons from Article 33, paragraphs 1 to 4 of this Act. (3) The logbooks referred to in paragraph 1 of this Article must be retained for five years and must be made available to the competent authority on request. (2) Procedures in the production of biological preparations may be performed by veterinarians, if they are trained for work with animals in accordance with paragraph 1 of this Article, and exceptionally, procedures in the production of biological preparation used in experiments as part of projects may be performed by other persons from paragraph 1 of this Article, on: mouse, rat, guinea pig, golden hamster, Chinese hamster, Mongolian gerbil, and European rabbit, if they are trained for work with animals in accordance with paragraph 1 of this Article. (3) Surgical procedures on animals during the experiment may be performed by veterinarians if they are trained in accordance with paragraph 1 of this Article. – surgical procedures on animals in moderate and severe experiments may be performed by medical doctors on pigs and sheep, if they are trained for work with animals in accordance with paragraph 1 of this Article. (5) In the event the surgical procedure from paragraph 4 of this Article is not performed by a veterinarian, then the procedure must be under the supervision of the appointed veterinarian of the users, who is a member of the surgical team. (6) The minimum conditions to be met by the persons from paragraph 1 of this Article, and the programme and manner of training from paragraphs 1 and 4 of this Articles, are prescribed by the minister in an ordinance. (1) The personnel of legal or natural persons from Article 13, paragraph 1, Article 25, paragraph 1, and Article 28, paragraph 1 of this Act must be trained for the performance of experiments on animals, design of experiments and projects, animal care and killing of animals, in accordance with the tasks they perform. (2) The training from paragraph 1 of this Article may be conducted by a legal person registered for the activity of training as designated by the competent authority, and if it meets the requirements concerning professional staff, premises and equipment, and ensures the personnel training programme. (3) The training from Article 33, paragraphs 3 and 4 of this Act for the performance of surgical procedures, may be performed by a legal person registered for the activity of implementing education as designated by the competent authority, and if it meets the requirements concerning professional staff, premises and equipment, and ensures the personnel training programme. (4) The competent authority recognises the executed training from this Article that was conducted by accredited organisations established in a European Union Member State. (5) Detailed rules for the implementation of training from this Article is prescribed by the minister in an ordinance. (1) The competent authority issues the decision on the fulfilment of requirements from Article 34, paragraph 2 of this Act. – does not implement at least one training programme within two consecutive years. (1) The Minister issues the decision establishing an Ethics Committee. (2) The membership of the Ethics Committee shall include experts in the fields of scientific activities with a minimum of ten years of work experience in the area of scientific research in the use of animals, in the fields of veterinary medicine, human medicine, biology, pharmacy, biochemistry and agronomy, as well as representatives of the state administration body responsible for the assessment of scientific projects in the area of application of the Act, and representatives of animal protection associations. 9. drafts an annual report of its work which it forwards to the Minister, by the end of March of the current year for the preceding year. (4) The Ethics Committee shall adopt its rules of procedure. (1) Members of the Ethics Committee are entitled to remuneration for the assessment of projects and the drafting of opinions from Article 36, paragraph 3, items 1, 2, 3, 5 and 7 of this Act. (2) The costs of the assessment of projects and drafting of opinions are borne by the applicant, in accordance with paragraph 1 of this Article. (3) The level of fees from paragraph 1 of this Article is prescribed by the Minister in an ordinance. (1) The Minister shall establish an Animal Protection Commission. 2. Board for the protection of pet animals and other animals, with the exception of experimental animals and animals used in production. 5. at the request of competent state administration bodies, provide opinions on matters relating to animal protection. (6) The Animal Protection Commission shall adopt its rules of procedure in the scope of each individual board. (1) Animals bred and used for production purposes may only be kept if their biological needs can be met in a way that does not impede their physiological functions and species-specific behaviour. (2) The owner of animals must ensure that the space, freedom of movement, land configuration, structure of buildings and animal quarters, microclimatic conditions, care and food as well as the possible contact between animals are - having regard to the species, age and degree of development, adaptation and domestication of the animals - appropriate to their physiological and ethological needs, in accordance with good manufacturing practices and the scientific knowledge. (3) Veterinary inspectors shall confirm the fulfilment of requirements from paragraphs 1 and 2 of this Article during inspections, and shall forward the data on the conditions and manner of keeping of animals bred and used for the purpose of production to the competent authority for the purpose of reporting to the European Commission. (4) The manner of keeping animals bred and used for production purposes from paragraph 1 of this Article, and the rules for the collection of data from paragraph 3 of this Article, are prescribed by the minister in an ordinance. (5) The manner of keeping cow calves bred and used for production in accordance with paragraph 1 of this Article is prescribed by the minister in an ordinance. (6) The manner of keeping pigs bred and used for production in accordance with paragraph 1 of this Article is prescribed by the minister in an ordinance. (7) The manner of keeping chicks bred and used for production in accordance with paragraph 1 of this Article is prescribed by the minister in an ordinance. (8) The manner of keeping laying hens bred and used for production in accordance with paragraph 1 of this Article is prescribed by the minister in an ordinance. (1) Animals bred and kept for production purposes must be cared for by a sufficient number of trained staff or persons having equivalent experience or knowledge concerning the keeping and care of animals. (2) Legal and natural persons keeping animals for production purposes, including the breeding of game animals, must be registered and entered into the register that is kept by the competent authority. (3) Holdings where laying hens are kept for the production of eggs are issued a unique registration number. (4) Natural and legal persons from paragraph 2 of this Article must keep records in accordance with special regulations in the veterinary field. (5) The manner of qualifications of persons from paragraph 1 of this Article, and the manner of keeping the records from paragraph 2 of this Article are prescribed by the minister in an ordinance. (1) The owner must, appropriately and without delay, extend the appropriate care for any animal used for production purposes showing signs of illness, exhaustion or injury and, where necessary, ensure that they receive veterinary attention. (2) The animals from paragraph 1 of this Article shall, if necessary, be placed in separate areas or pens. (1) The movement of animals bred and used for production purposes must not be restricted in such a way as to cause it unnecessary suffering, pain, injury or fear. (2) Animals from paragraph 1 of this Article must be given the space appropriate to their physiological and ethological needs, an in line with good practices and scientific knowledge. (3) Animals from paragraph 1 of this Article must be allowed a daily time off the tether so that they can move freely in accordance with their physiological and ethological needs, and in line with good practices and scientific knowledge. (4) Tethering of animals from paragraph 1 of this Article must be in such a manner that it does not cause pain, suffering, injury or fear. (5) If the animals from paragraph 1 of this Article are kept in pens, they must be permitted movement according to their needs. (1) Wild animals may not be kept tethered, except for veterinary-health or safety reasons. (2) The provisions of paragraph 1 of this Article shall not apply to the training of raptors for falconry. (1) The type, quality and quantity of feed provided to animals must be appropriate to the species, age and physiological needs of the animals. (2) Animals must have access to sufficient quantities of drinking water of suitable quality according to their needs. (3) Animals must be offered feed and water in a manner that is appropriate to their species, condition and age. (4) The space where animals receive feed and water, and the feeding and watering equipment must be kept clean, and facilities equipped in such a way that animals can take food and water in a manner appropriate to their species, condition and age. (1) Materials used for the construction of animal housings and the equipment in animal housing with which the animals bred for production purposes come into contact must not be harmful to the animals nor adversely affect their health, and must be easy to clean and, where necessary, disinfect. (2) The housing and enclosures for animals bred for production purposes, and the equipment therein must be constructed so that there are no sharp corners, edges or protrusions likely to cause injury to animals. (3) Animals bred and used for production purposes, and which are temporarily or permanently kept outside housing must, as required, have access to natural or constructed shelters from inclement weather and climatic conditions, predators and other threats to their health and welfare. (1) All animals bred or used for production purposes and kept on holdings or in such husbandry systems in which their health and welfare depend on human care must be inspected on a regular basis, at least once a day, and records kept thereof. (2) To enable the animals to be inspected at any time, adequate lighting must be secured by the owner to the extent necessary for the care and inspection of the animals bred or used for production purposes. (3) All automated and mechanical equipment essential for maintaining the health of the animals must be regularly inspected, at least once a day. Where defects are discovered, these must be rectified immediately, or if this is impossible, backup equipment must be available to preserve the health and well-being of the animals. In the keeping and breeding of wild animals, the necessary care with regard to the climate conditions, manner of keeping and feed, need for free movement and degree of acclimatisation must be secured. 4. other activities with detrimental consequences. (2) By way of derogation from paragraph 1 of this Article, actions that are scientifically justified, and which are performed for the purpose of protection of wild animals in natural habitats are permitted. (3) The release of dogs in areas of hunting grounds intended for the breeding and protection of wild game is prohibited in the period from 1 March to 30 September. (1) Wild animals found outside their natural habitat are housed in shelters that ensure their return to the natural habitat, where possible. (2) If it is not possible to return the wild animal to the natural habitat, the animals shall first be offered to the nearest hunting ground manager in accordance with special regulations on hunting, and if the nearest hunting ground manager cannot accept the animal, it shall be offered to a zoo equipped for its reception. (3) If the wild animal cannot be housed in a shelter, or if the hunting ground manager or zoo is not able to receive the animal, the animal may be killed. (4) The manner of handling wild animals found outside the natural habitat from this Article are prescribed by the general acts of the representative body of the local self-government unit. (1) The sale of pet animals to minors is prohibited. (2) Minors are prohibited from taking pets from shelters for the purpose of their care or adoption. (3) A seller in a pet shop, or the seller of cats or dogs, and the manager of a shelter or person giving away pets for adoption or care may request public identification of the person to whom the animal is being sold or gifted to prove the age of the person, in accordance with paragraphs 1 and 2 of this Article. (4) If the person to whom the animal is being sold or gifted cannot prove their age in accordance with paragraph 3 of this Article, the pet animal may not be sold or gifted. (1) Pet animals must be ensured keeping conditions in line with their needs. (2) It is prohibited to keep and handle a pet animal in a manner that poses a risk to the health and safety of other animals and people, in particular children and animals. (3) The movements of pet animals in a manner that poses a risk to the health and safety of other animals and people, in particular children and animals are prohibited. (4) It is prohibited to keep dogs constantly tethered, or to keep them in areas for the separate keeping of dogs without enabling their free movement outside that area. (5) The conditions and manner of keeping pet animals from paragraphs 1, 3 and 4 of this Article are prescribed in the general acts of representative bodies of local self-government units. (1) The owners of pet animals must ensure the controlled reproduction of animals which are under their control. (2) The owners from paragraph 1 of this Article must provide care for the offspring of their own pet animals. (3) If the owners of pet animals do not want to provide care for the offspring of their pet animals, they shall bear the costs of their care, and in the case of dogs, for the costs of their permanent sterilisation. (4) If the owners of pet animals do not provide care for the offspring of their pet animals, the veterinary inspector, upon determining the abandonment of the offspring of their pet animals, may impose a measure of permanent sterilisation of the pet animal, at the expense of the owner. (5) If a larger number of abandoned dogs is ascertained within the territory of a local (regional) self-government unit, the manner and financing of the control of reproduction of abandoned dogs in that area shall be prescribed by the minister in an order. (1) The owner of a pet animal must ensure that the pet animal is not a danger to the environment, through adequate training or other measures with regard to the keeping and movements of the pet animal. (2) The conditions and manner of keeping of dangerous dogs is prescribed by the minister in an ordinance. (1) The breeding of pet animals intended for sale may not commence the said activity without having obtained a decision on the registration of breeding issued by the competent authority. (2) In order to receive the decision from paragraph 1 of this Article, pet animal breeders must ensure the manner of keeping pet animals in accordance with their needs and their care, and fulfil the requirements for the facility in which pet animals are kept. (3) Pet animal breeders must be qualified for their keeping and breeding, with regard to their feeding, care, behaviour and recognition of conditions of illness and stress in the animals, and ensure animal transport conditions or ensure the qualifications of the person caring for the pet animals, if the breeder does not independently care for them. (4) The competent authority shall keep a register of breeders referred to in paragraph 1 of this Article and publish it on its website. (5) The manner of keeping pet animals and the conditions for the facility in accordance with paragraph 2 of this Article, and qualifications from paragraph 3 of this Article shall be prescribed by the minister in an ordinance. (1) The person possessing more than nine dogs or cats over the age of six months for the purpose of adoption must meet the requirements from Article 61 of this Act with regard to the requirements for keeping dogs or cats and their care. (2) The person from paragraph 1 of this Article may, for the purpose of adopting, keep only those dogs or cats given into his care by the shelter, and with which he has a contract thereof, and the shelter ensures the marking of dogs and cats and their sterilisation, keeps the prescribed records and advertises the dogs or cats for the purpose of adoption, while free living cats are returned to their original habitat. (3) The person from paragraph 1 of this Article holding more than 30 animals from paragraph 1 of this Article must fulfil the requirements from Article 61 of this Act and be authorised as a shelter. (1) Facilities for the temporary housing of pet animals where animals are left for keeping and care at the owner’s expense may be established by a legal or natural person. (2) The staff in the facilities from paragraph 1 of this Article must be qualified for the care of animals or possess equivalent experience or knowledge in the keeping and care of animals. (3) The facilities referred to in paragraph 1 of this Article may not commence operation without having obtained a decision from the competent authority confirming the fulfilment of requirements. (4) The fulfilment of the requirements for facilities from paragraph 1 of this Article is determined by an expert committee that provides expert assistance for the issuance of the decision from paragraph 3 of this Article. (5) The competent authority shall keep a register of the facilities referred to in paragraph 1 of this Article and publishes it on its website. (6) The Minister shall prescribe the requirements for the facilities referred to in paragraph 1 of this Article and the qualification of staff from paragraph 2 of this Article in an ordinance. (1) A zoo may not commence operation without having obtained a decision from the competent authority confirming the fulfilment of requirements. (2) The fulfilment of requirements for zoos in accordance with Article 58, paragraph 1 of this Act is established by an expert committee, that provides expert assistance for the purpose of issuance of the decision from paragraph 1 of this Article. (3) The competent authority shall keep a register of zoos and publishes it on its website. (4) A natural or legal person performing the activity in a zoo is obliged to notify the competent authority if it intends to cease such activity, for the purpose of deletion from the register from paragraph 3 of this Article. (5) The manner of keeping animals in the zoo, and the training requirements for staff caring for animals in a zoo, and the content and manner of keeping the register from paragraph 3 of this Article, are prescribed by the minister in an ordinance. 8. an animal care plan in the event of closure of the zoo. (2) The competent authority may close a zoo or part thereof if the requirements set out in Article 57 of this Act and paragraph 1 of this Article are not met. (4) The costs of the care of animals referred to in paragraph 3 of this Article shall be borne by the zoo. (1) It is prohibited to keep animals in circuses and use them in circus performances. 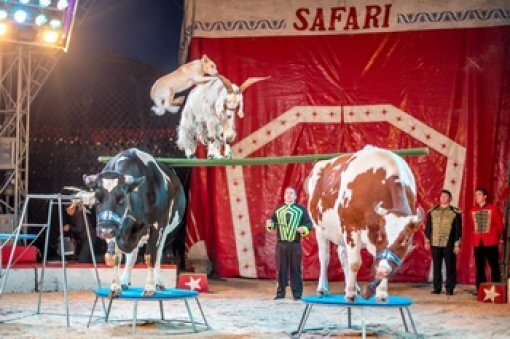 (2) By way of derogation from paragraph 1 of this Article, the keeping and performance of domesticated animals in circuses and circus performances for the purpose of presentation of the species-specific behaviour, which is identical to the behaviour of the animal in its natural environment, shall be permitted. (1) Animals may be used in film and television productions and in animal exhibitions, competitions, performances and other purposes with the intent of their presentation after the consent of the veterinary inspector is issued. (2) Animals may be used for the purposes from paragraph 1 of this Article if their care can be secured in accordance with the ethological and biological needs with regard to the species and category of animal. (3) It is prohibited to use wild animals originating from nature for the purposes from paragraph 1 of this Article, if such use demands their relocation from their living area. (4) Animals from zoos may, with the consent of the competent veterinary inspector, be transferred for their use for educational purposes. (5) The request for the issuance of the consent from paragraphs 1 and 4 of this Article shall be delivered to the competent veterinary inspector at least seven days before the use of the animals, and must contain the list of all the animals to be used (species, category and number), information about the manner in which the animals have been kept and used up to date, the purpose of the use of the animals, the conditions of keeping the animals during use, and the site of the filming, exhibition or competition, performance or other means of presentation of the animals will take place. (1) A natural or legal person may establish a shelter. (2) If an animal shelter is not established in accordance with paragraph 1 of this Article, the shelter shall be established by one or more local self-government units, or the City of Zagreb. (3) If no local self-government unit, or any other natural or legal persons does not establish a shelter within the territory of the regional self-government unit, the shelter shall be established by the regional self-government unit. The costs of establishment shall be borne by the local and regional self-government units. (4) The shelter may not commence activities without receiving the decision on the fulfilment of requirements with regard to the housing, feeding, staff and handling of animals, which is issued by the competent authority. (5) The fulfilment of requirements for the shelter in accordance with paragraphs 4 and 7 of this Article are determined by an expert committee that provides expert assistance for the issuance of the decision from paragraph 4 of this Article. (6) The competent authority keeps the register of shelters, and publishes it on its website. (7) The manner of keeping animals in shelters, qualifications of staff collecting animals and responsible for their care in the shelter, handing animals, the operation of the shelter, and the content and manner of keeping the register of shelters is prescribed by the minister in an ordinance. (1) The tasks of collecting abandoned or lost animals are organised and financed by the local self-government units. (2) At least one shelter must be established in the territory of each regional self-government unit, with a minimum capacity for 50 animals. (3) All local self-government units are obliged to participate in the financing of the establishment and operation of the shelter from paragraph 2 of this Article. 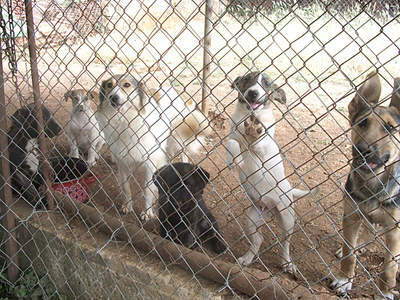 (4) The local self-government units may conclude a contract on the collection and care of abandoned or lost animals with the shelter person from Article 61, paragraph 1 of this Act, which is situated within the territory of the regional self-government unit including the local self-government unit. (5) The manner of handling abandoned or lost animals is prescribed by general acts of the representative bodies of the local self-government unit. (6) The local self-government unit may prescribe permanent sterilisation as a compulsory manner for reproduction control. The expenses for the care, sterilisation, marking and veterinary care of abandoned or lost animals in the shelter established by one or more local self-government units, or in the case of conclusion of a contract on the collection or care of animals with persons from Article 61, paragraph 1 of this Act, are financed by the local self-government unit, and if the owner of the animal is known or subsequently determined, the owner shall be required to cover the expenses for the case, sterilisation, marking and veterinary care. 7. keep records of the persons from Article 55 of this Act. (3) In addition to the measures from paragraphs 1 and 2 of this Article, the shelter must also implement the measures ordered by the veterinary inspection service. (1) Every person adopting a dog from a shelter is required to register the dog to the veterinary organisation or veterinary clinic authorised for keeping the Register of pet animals within 72 hours. (2) If within a period of 14 days from the date of publication of the data in accordance with Article 68, paragraphs 1 and 3 of this Act, the owner has not submitted a request for the return of the animal, the shelter shall become the owner of the animal and may put it up for adoption. (3) An animal from the shelter that is not returned to its owner remains in the shelter until it is adopted. (4) By way of derogation from paragraph 3 of this Article, in the cases from Article 11, paragraph 1, items 1, 2, 3, 4, 6, 7, 13, 14 and 17 of this Act, animals in shelters may be killed. (5) The shelter is obliged to submit an annual report on the implementation of measures from paragraphs 3 and 4 of this Article to the local self-government unit that established the shelter, or which has concluded an agreement with the shelter on the financing of the operation of the shelter. (1) Shelters have access to the data on the marking of pet animals from the Register of pet animals kept by the competent authority. (2) If dogs from the shelter are taken into European Union Member States or a third country, the owner of the dog must report the destination where the dog will be housed and data on the new owner to the competent veterinary organisation or veterinary clinic authorised for keeping the register from paragraph 1 of this Article, and those data are entered into the register from paragraph 1 of this Article. (3) The legal or natural persons or associations housing abandoned or lost dogs for the purpose of further adoption procedures must meet the requirements from Article 61 of this Act. (1) The owner of a lost pet animal is obliged to report the loss to an animal shelter within 3 days, and also, in the case of a lost dog, to the veterinary organisation or veterinary clinic authorized to keep the Register of pet animals within 14 days of the loss of the dog. (2) A person finding an abandoned or lost animal is obliged to inform an animal shelter thereof within three days of finding the animal, unless the animal has already been returned to its owner within that time period. (3) An animal shall not be housed in a shelter if it is possible upon finding the animal to determine its owner and the animal is immediately returned to its owner, unless the owner does not immediately come for the animal. (4) By way of derogation from paragraph 1 of this Article, an animal is not returned to its owner if the owner has stated their rejection of the animal, or it can be otherwise ascertained without doubt that the animal has been abandoned. (1) For the purpose of performing the tasks from Article 64, paragraph 1 of this Act, the founders of the shelter from Article 61, paragraphs 1 and 2, and Article 62, paragraphs 2 and 3 of this Act are obliged to record the data on abandoned and lost pet animals via the Joint information centre for abandoned and lost animals in the Register of pet animals kept by the competent authority. (2) The competent authority ensures the availability of the animal records from paragraph 1 of this Article. – date of adoption of the animal. (4) The data on the animal from paragraph 3 of this Article are public. The competent state administration body and the local or regional self-government units are obliged to raise awareness of the public, particularly among youth, on animal protection. (1) The body of the regional self-government unit is required to organise coordination work groups for the purpose of fulfilling the requirements from Article 65 of this Act. (2) The coordination work groups from paragraph 1 of this Article consist of a minimum of: a representative of the local and regional self-government units, representative of the animal shelter if one exists in the territory of the regional self-government unit, representative of a non-governmental organisation for animal protection, representative of the administrative body of the local self-government unit responsible for municipal affairs, representative of the central state administration body responsible for internal affairs from the jurisdiction of the police administration, Croatian Veterinary Chamber and veterinary inspector, and the representatives of other legal and natural persons may be included as needed. – improving animal protection, depending on the issues and interests of the local or regional self-government unit. (4) The coordination working group from paragraph 1 of this Article proposes measures for reducing the number of abandoned animals in their area to the head of the regional self-government unit. (5) Every regional self-government unit must designate a responsible person for animal welfare, and who must also be a member of the coordination working group from paragraph 1 of this Article. (1) The body of the regional self-government unit adopts the Population control programme for abandoned dogs, taking into consideration the proposals of the coordination work group from Article 70, paragraph 4 of this Act, and delivering them to the competent authority for assessment. (2) In drafting the Programme from paragraph 1 of this Article, the recommendations for population control of stray dogs of the World Animal Health Organisation (OIE) must also be considered. (3) The Programme from paragraph 1 of this Article is updated every five years, and any amendments are submitted to the competent authority for assessment by the end of February of the following year. (4) The regional self-government unit provides technical support for maintaining meetings of the coordination work group from Article 70 of this Act by providing meeting space, the necessary presentation equipment, and a person to coordinated meetings and record the meeting conclusions. (5) The coordination working group from Article 70 of this Act adopts its rules of procedure. (1) Pet shops and wholesale facilities may not commence their activities without the issuance of the decision by the competent authority of the fulfilment of the requirements. (2) Pet shops and wholesale facilities must ensure a manner of keeping pet animals in line with their needs and ensure their care, and must fulfil the requirements of the housing in which pet animals are kept. (3) The fulfilment of requirements by pet shops and wholesale facilities is determined by an expert committee that provides expert assistance for the issuance of the decision from paragraph 1 of this Article. (4) The competent body keeps a register of shops and wholesale facilities from paragraph 1 of this Article, and publishes it on its website. (5) The manner of keeping pets in pet shops and wholesale facilities in accordance with paragraph 2 of this Article, and the content and manner of keeping the register from paragraph 4 of this Article are prescribed by the minister in an ordinance. (1) Pet animals offered for sale in the shops from Article 72, paragraph 1 of this Act must originate from registered breeding, or from an animal owner listed in accordance with Article 54 of this Act, or shop or wholesale facility registered in accordance with Article 72 of this Act, or from legal or natural persons authorised for the sale of pet animals by the competent authority in European Union Member States or third countries. (2) Pet shops must ensure the provision of written instructions on the characteristics of the animal species, and on the appropriate manner of keeping the animal that is for sale. (3) The staff working with animals in pet shops and wholesale facilities must be qualified to care for animals, or possess the equivalent experience or knowledge on the keeping and care of animals. (4) The training of staff and the manner of prescribing the instructions from paragraph 2 of this Article are prescribed by the minister in an ordinance. (1) The sale of dogs, cats and tame ferrets is prohibited in pet shops. (2) The sale of animals still dependent on their mother, or which cannot independently feed, and sick or injured animals is prohibited. (3) In the advertisement of dogs for the purpose of sale or change of ownership, the seller must ensure, and the advertiser must publish, the number of the dog’s microchip, and the number of the dog’s mother’s microchip. (1) Administrative supervision over the implementation of this Act and the provisions adopted pursuant thereto is performed by the ministry responsible for agriculture affairs. (2) Inspection supervision in the implementation of this Act and the provisions adopted pursuant thereto is performed by the veterinary or agricultural inspectors of the ministry responsible for agricultural affairs, in accordance with the authorities laid down by special regulations in veterinary medicine or agriculture. (3) Supervision over the implementation of general acts from Article 49, paragraph 4, Article 51, paragraph 5, and Article 62, paragraph 5 of this Act are performed by the municipal monitor. Supervision from Article 75, paragraphs 2 and 3 of this Act are performed on the basis of a risk assessment, by random selection of inspection sites, or by findings of actions contrary to the provisions of this Act. The police, in accordance with their powers, provide assistance to the authorised applicant/competent inspector or municipal monitor if there is a justified expectation of resistance to the performance of supervision or the execution of a decision, in accordance with special regulations. (1) The competent veterinary inspector from Article 75, paragraph 2 of this Act is authorised, during the exercise of inspection supervision in the case of suspicion of actions contrary to the provisions of this Act and provisions adopted pursuant thereto, to inspect facilities at the holding, buildings, rooms, equipment and means of transport. (2) The owners of the holdings, areas, rooms, equipment and means of transport, who keep animals, must enable the execution of the inspectional supervision referred to in paragraph 1 of this Article, and provide the competent inspector with the required data, information and documentation, and provide conditions for unhindered work. (3) Upon the request of the competent inspector, the owner must submit or prepare, within a specified time period, the prescribed records and documents that the inspector may need during inspectional supervision. 6. file a report pursuant to the provisions of the criminal or misdemeanour law. – file a criminal report or an indictment proposal. (2) If in the implementation of supervision in accordance with Article 51, paragraph 5 of this Act, the municipal monitor concludes that the animal is in a condition from Article 79, item 3 of this Act, or that it represents a threat to its environment in accordance with Article 79, item 4 of this Act, he shall be obliged to immediately inform the veterinary inspector thereof, who will decide on the temporary seizure of the animal, and taking other measures for which he is authorised. (3) If the municipal monitor observes actions contrary to the provisions of this Act during the supervision, and for which he is not authorised, he is obliged to immediately notify the veterinary inspector thereof. (4) In every situation requiring the provision of veterinary assistance, the care of abandoned or lost animals, finding the owner of the animal, or any other direct handling of abandoned or lost animals, the municipal monitor is obliged to immediately notify the shelter. (1) Confirmation of the temporary seizure of animals from Article 79, items 3 and 4 of this Act and the objects and documentation from Article 79, item 5 of this Act must be issued, and the seized animal is housed in a shelter or other temporary housing facility. (2) The temporarily seized animals from Article 79, item 3 of this Act may be returned to their owners if the animal keeping requirements determined by the provisions of this Act are met, or otherwise it will be placed in an animal shelter or placed in appropriate housing facility, or permanently seized and put up for adoption or sale. (1) No appeal is permitted against the decision of the competent authority issued pursuant to this Act, however, an administrative suit may be filed. (2) No appeal is permitted against the decisions of the veterinary inspector issued pursuant to this Act in the first instance, though an administrative suit may be filed. (3) The initiation of an administrative suit shall not delay the execution of the decision from paragraph 2 of this Article. (1) An appeal may be lodged against the decision of the municipal monitor within 15 days of the date of submission of the decision, which does not delay the execution of the decision. (2) The decision on the appeal lodged against the decision of the municipal monitor from paragraph 1 of this Article is made by the administrative body of the regional self-government unit responsible for second instance affairs in the municipal economy, or the ministry responsible for municipal economic affairs if the appeal is lodged against a decision of a municipal monitor of the City of Zagreb. (1) If during the inspection the municipal monitor has established a violation in relation to Article 75, paragraph 3 of this Act, he has the right and obligation to charge a monetary fine stipulated by the general act of the representative body of the local self-government unit. (2) Funds collected pursuant to paragraph 1 of this Article are the revenue of the local self-government unit, and are used for the needs of caring for abandoned and lost animals. 16. animals are not kept in shelters until they are adopted (Article 65, paragraph 3). (2) For the violation from paragraph 1 of this Article, the responsible person in the legal person will be charged a fine from HRK 15,000.00 to 30,000.00. (3) For the violation from paragraph 1 of this Article, a natural person will be charged a fine from HRK 20,000.00 to 50,000.00. (4) For a violation from paragraph 1, items 1 to 8 and items 14 to 15 of this Article, in addition to the fine, the seizure of the animals and protective measure of a prohibition of keeping and acquiring other animals may be imposed. (5) For the violation from paragraph 1, items 14 and 15 of this Article committed on an animal for the second time by a natural person, in addition to the fine, a measure may be imposed to seize the animals and the protective measure of keeping and acquiring other animals. 88. sale of animals that are still dependent on their mother, or which cannot independently feed, or ill or injured animals, contrary to Article 74, paragraph 2 of this Act. (2) For the violation from paragraph 1 of this Article, the responsible person in the legal person will be fined in the amount of HRK 10,000.00 to 20,000.00. (3) For the violation from paragraph 1 of this Article, a natural person will be fined in the amount of HRK 15,000.00 to 30,000.00. 11. releases dogs in parts of the hunting ground intended for breeding and the protection of wild game in the period from 1 March to 30 September (Article 48, paragraph 3). (2) For the violation from paragraph 1 of this Article, the responsible person in the legal person will be fined in the amount of HRK 5000.00 to 10,000.00. 7. in advertising dogs for the purpose of sale or change of ownership, not reporting the microchip number of the dog and the microchip number of the mother of the dog, in accordance with Article 74, paragraph 3 of this Act. (2) For the violation from paragraph 1 of this Article, the responsible person in the legal person will be fined in the amount of HRK 3000.00 to 5000.00. (3) For the violation from paragraph 1 of this Article, the natural person will be fined in the amount of HRK 1000.00 to 2000.00. 2. throwing firecrackers or other pyrotechnical devices at animals, except in emergency situations when animals need to be dispersed in accordance with special regulations (Article 5, paragraph 2, item 29). (2) For the violation from paragraph 1, item 1 of this Article committed against a pet animal, in addition to the monetary fine, the measure to seize the pet animal against the natural person and the protective measure to prohibit that person for keeping and acquiring other animals may be imposed. 5. does not appoint a person responsible for animal welfare (Article 70, paragraph 5). (1) A fine in the amount of HRK 1000.00 to 2000.00 will be imposed against a project leader as a natural person if executing a project contrary to Article 22, paragraph 1 of this Act. (2) A fine in the amount of HRK 1000.00 to 2000.00 will be imposed against the experiment leader as a natural person if executing an experiment contrary to Article 22, paragraph 2 of this Act. As of the date of entry of this Act into force, any bears kept in captivity, with the exception of in zoos and shelters, must be relocated to shelters by 31 December 2018. The local self-government unit that has not, by the date of entry of this Act into force, established a shelter in accordance with Article 62, paragraph 2 of this Act, it obliged to establish a shelter by no later than 31 December 2018. (1) The local self-government units are obliged to ensure, by 30 June 2018, supervision of the implementation of the compulsory microchipping of dogs as stipulated by veterinary regulations, for all dog owners whose dogs are not registered into the Register of pet animals. (2) The supervision from paragraph 1 of this Article is performed by municipal monitors, in accordance with Article 80, paragraph 1, subparagraph 6 of this Act. (1) The minister is obliged to issue the implementing regulation from Article 61, paragraph 1 of this Act within one year of the date of entry of this Act into force, and to issue the implementing regulations from Article 5 paragraph 4, Article 13 paragraph 5, Article 14 paragraph 3, Article 15 paragraph 5, Article 17 paragraph 6, Article 18 paragraph 6, Article 19 paragraph 3, Article 20 paragraph 3, Article 23 paragraph 5, Article 25 paragraph 5, Article 29 paragraph 3, Article 31 paragraph 4, Article 33 paragraph 6, Article 34 paragraph 5, Article 37 paragraph 3, Article 39 paragraph 4–8, Article 40 paragraph 5, Article 53 paragraph 2, Article 54 paragraph 5, Article 56 paragraph 6, Article 57 paragraph 5, Article 72 paragraph 5 and Article 73 paragraph 4 of this Act within two years of the date of entry of this Act into force. – Ordinance on the requirements for the establishment and operation of zoos (Official Gazette 67/05). – Order on the prohibition of import of skins and products made from the skin of pups of certain seal species (Official Gazette 51/12). Procedures commenced prior to the entry of this Act info force shall be completed in accordance with the provisions of the Animal Protection Act (Official Gazette 135/06, 37/13 and 125/13). With the entry of this Act into force, the Animal Protection Act (Official Gazette 135/06, 37/13 and 125/13) shall cease to have effect. This Act shall enter into force on the eighth day from the date of its publication in the Official Gazette, with the exception of Article 70, Article 71, Article 86, paragraph 1, item 8, and Article 90, items 3, 4 and 5 of this Act, which shall enter into force on 31 December 2018.